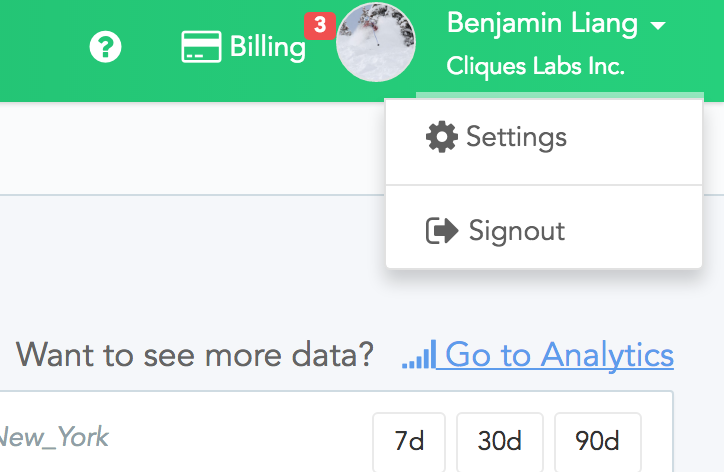 Sharing a Cliques account with other users in your organization/company is easy! Follow these simple steps to allow your co-workers access to your Organization in Cliques, where they can view, edit & create some or all of the Sites or Campaigns under your organization. First, in the top right-hand corner of the Cliques console, click on your name to expose a drop-down menu. From this menu, select Settings to go to your account's Settings page. From here, you can invite as many users in your organization as you like at one time. When you are done entering their names & email addresses, click Send Invites to send invitation emails to each one of the addresses you've entered. 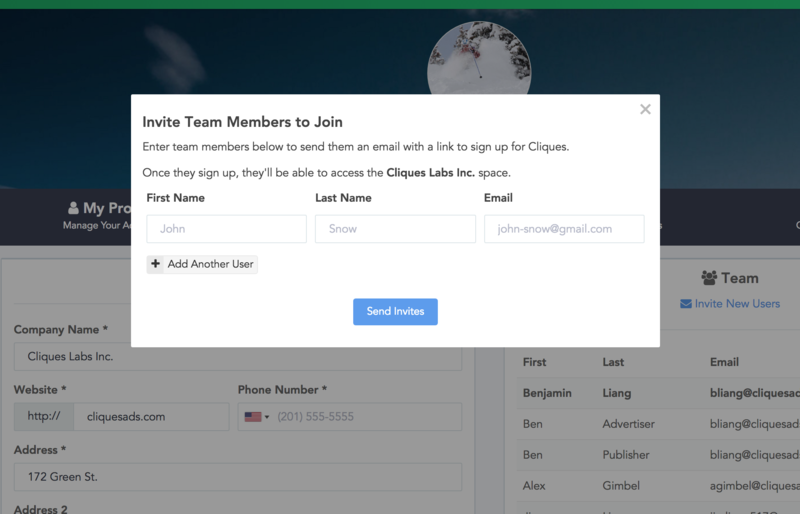 Each email will contain a unique URL that will allow each user to sign up for a Cliques account under your current organization. Warning: This may seem obvious, but please make sure you know all of the users who you are inviting to your account, as they will be able to view all information under your Cliques Organization once they gain access.